For people like us, the only hope we have in life is the future of our children. We work day and night and willing to sacrifice anything to make sure our children grow up healthy and happy. Now, I can't even afford to dream, all I wish is that my daughter survives. It is unbearable to see my 8-year-old girl going through so much of pain. She is losing her life slowly to seizures and brain infections. 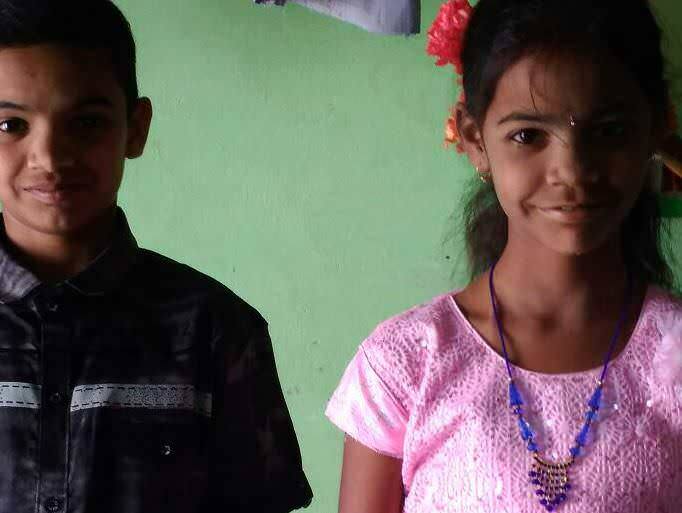 My name is Chandrasekhar and I stay in a small village in Ananthapur, Andhra Pradesh. My wife, Rama and I work as daily wage workers. We work the whole day and come late to home. Sai and my 10-year old son, Charan have always been doing things on their own and they never complained about anything. Sai is class 2 and she is a brilliant student. Sai was extraordinary in her in her studies that one of her teachers put her in a convent school and has been paying for her education. That was the proud moment for us and we believed that all our sorrows have come to an end. Like any other day, on the 9th of April, my little girl came back from her school, played with her friends and brother. She had her dinner and slept. She woke up with vigorous vomiting. Within few minutes she fainted. I still remember how fast our hearts were pounding. 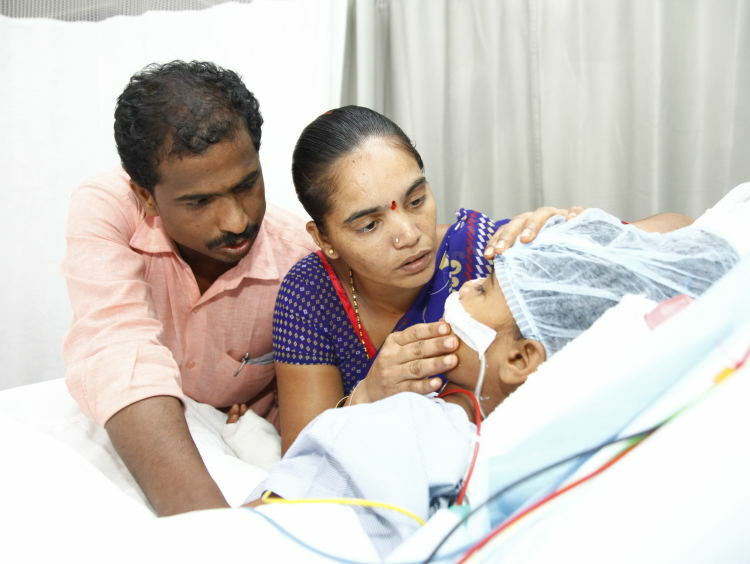 We rushed her to a local hospital, medicines did not help her. In the evening she had an unbearable headache and neck pain. She wailed with pain the whole day. 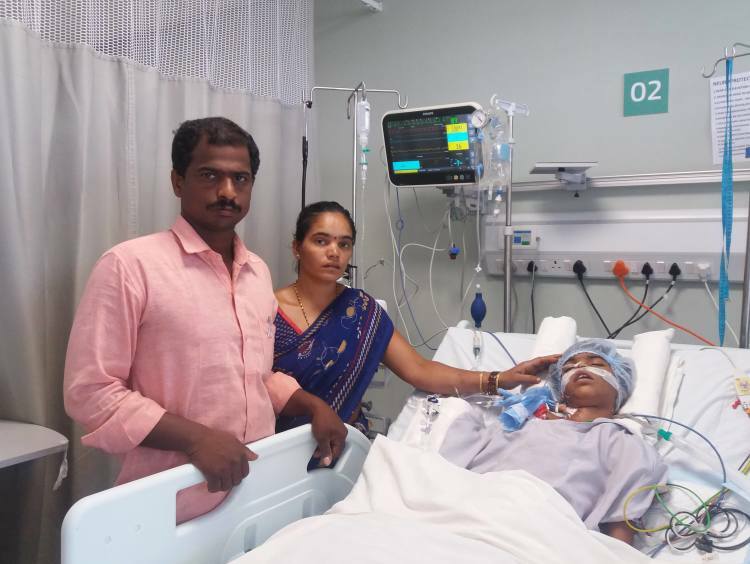 Doctors suspected that she might have brain infection. We refused to believe it. We took her to a better hospital in Bangalore. By then she developed fits. I became numb. Her body had stiffened and she couldn’t sit or move. The doctors confirmed that she had brain infections and seizures. My little Sai was in so much pain and we couldn’t do anything. I had only one thought, to save her at any cost. I borrowed money from everyone I knew. No one refused, everyone gave what they can to save my daughter. Unfortunately, the money I managed to collect was barely enough for her medicines. Doctors have given us discounts, yet the outstanding bills are piling up every day. After working hard for the entire day, My wife and I barely manage to earn Rs 400 per day together. We are with Sai in Bangalore and can’t even work now. We have absolutely no income now. My relatives and friends helped us when we came here and now even they have no money. Since the day of his diagnosis, my wife and I could hardly eat and we spend sleepless nights. My wife is depressed, she hardly talks and cries uncontrollably. Despite seeing our daughter in being excruciating pain, we are unable to do anything. Guilt is choking us every moment. My little girl is in ICU. It is such a pain to see that she is being fed with nasal feeding tubes. We can barely stand the sight of her suffering. Sai was such a lively girl and now she is bed-ridden. She doesn’t even know what is happening to her. She knows she is in the hospital because of her headache. She has no idea that her brain might give up on her any moment. We have already spent Rs 2 lakhs in just a few days. I have nothing left and no one to turn for help. I fear that I may lose her, I will not be able to forgive myself if I fail to save her. I could see that she is slowly slipping away from us. We are running out of time. 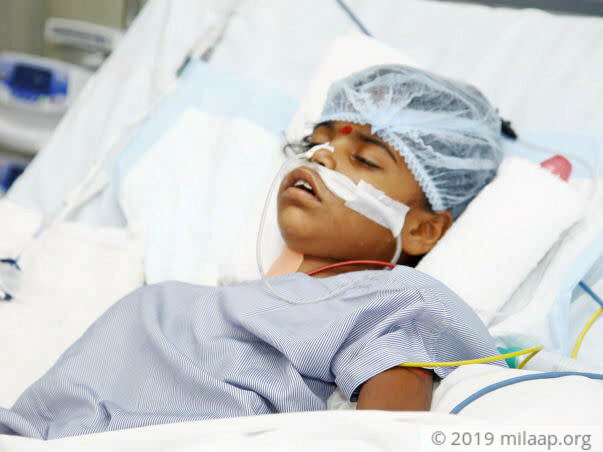 Sai has severe brain infections and seizures. Without the treatment, her brain will stop functioning and she will give into fits any moment. 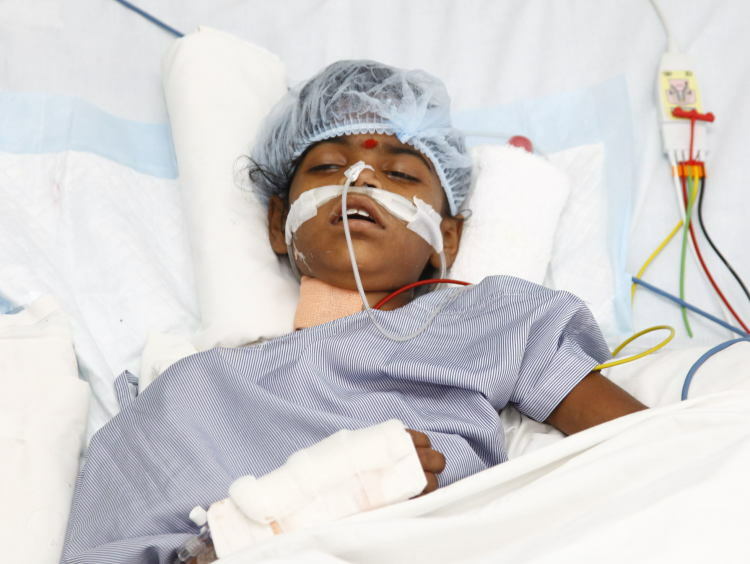 The cost required to save the little girl is Rs 2 lakhs which the family is struggling to arrange. Thank you for your tremendous love and support. This couldn't have been possible without you. It gives me immense pleasure in informing you all that Sai was discharged on 1st May, 2018. She is doing well now and is even walking now. Though, she is walking slowly and it's taking time for her to get back to normal, she definitely is showing tremendous improvements in her health. 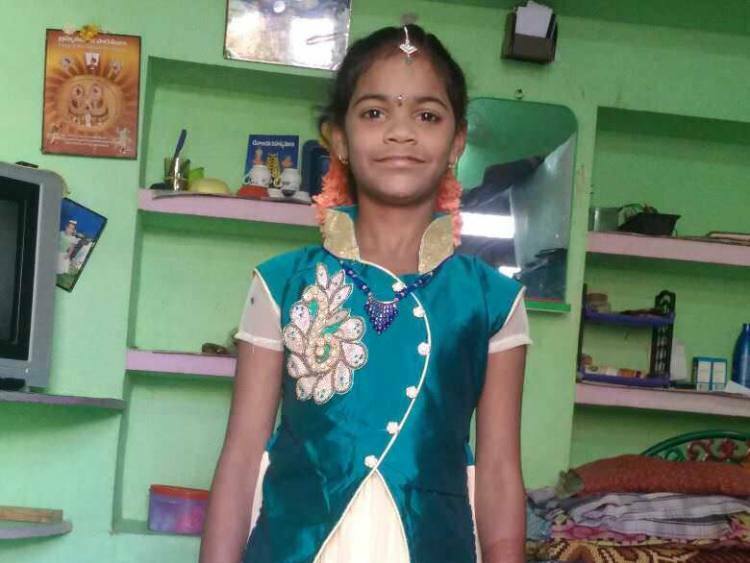 She is required to go for regular checkups and the doctors have told us that if she continues to recover, she will be able to start going to school in a few months. Thank you everyone.We are forever indebted to you. All the best. Hoping for a speedy recovery. Get well soon sweet girl.